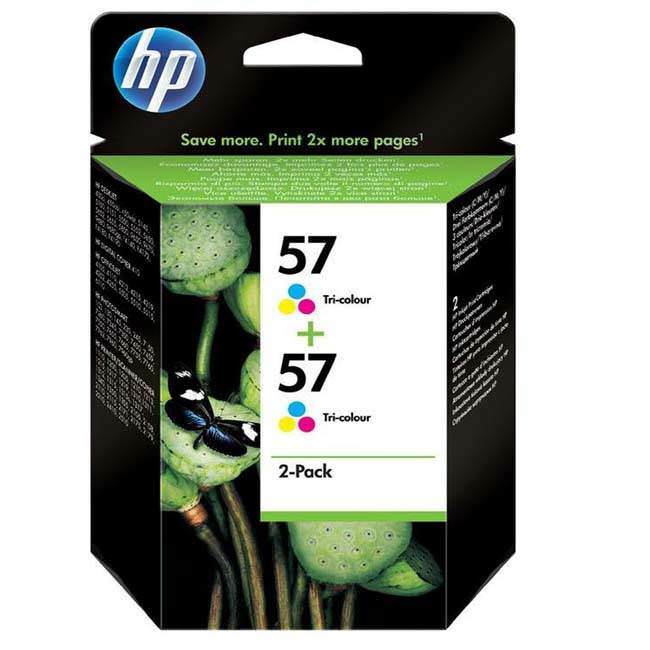 This original twin pack of HP 57 tri-colour ink cartridges contain high density pigment based ink which is smudge resistant and fade proof, they will deliver results that are crisp and reliable from the first to last page printed. The HP C6657AE colour cartridges produces high-resolution results every time and with their 17ml ink capacity they boast an overall low cost-per-page ratio. The HP 57 is a tri-colour cartridge, you will also require a black cartridge in order for your printer to work effectively. You can find this and other products for your printer by selecting your printer model from the list below.